We woke up fairly early on our first full day in Iceland to brilliant blue skies and sunshine - the perfect day to drive the Golden Circle which is s a 300km (ish) loop from Reykjavik, home to some of the most famous and stunning locations including the Þingvellir National Park, the Geysir Geothermal Area, and Gullfoss waterfall, making it the most popular tourist route in Iceland. Side note: We decided to self-drive. There are hundreds of tour companies that can take you around if you don’t fancy tackling the roads yourself but we wanted to be flexible with our itinerary and had chosen to stay at a couple of hotels that were off the beaten track which would have involved expensive transfers if we hadn’t had a car. Car hire isn’t that expensive - a 4x4 is highly recommended and you can rent wifi for a nominal extra cost which is awesome for navigating. As we left Reykjavik and the built up streets of the capital behind, the landscape and conditions changed drastically around us. A vicious wind whipped snow across the road in front of us making for some eerie and difficult driving conditions as we negotiated the short but beautiful road to our first stop, the Þingvellir National Park. The first look out point is on a vast plane overlooking the lake and gives you a little taste of the incredible geology the park is famous for. The main entrance to the park, just a few kilometres on from the lookout point, takes you towards a sheer cliff that is, in fact, the corner of the North American continent, punctured by a couple of waterfalls. 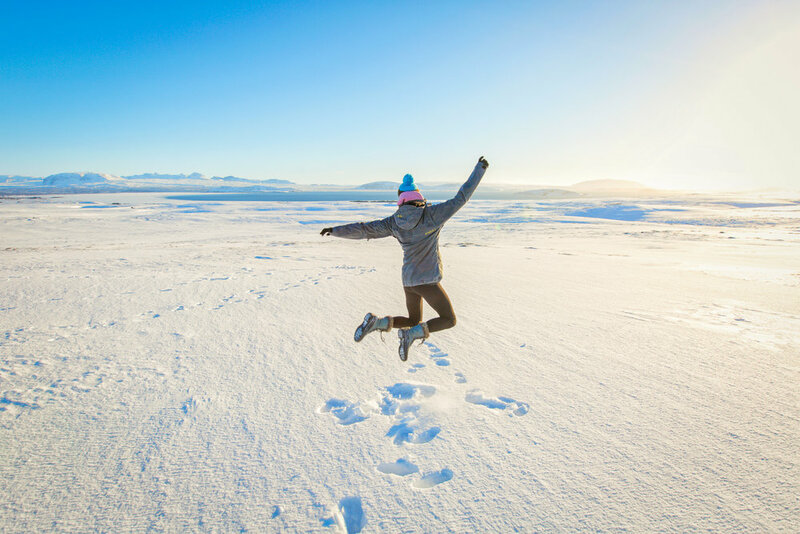 Top Tip: If you’re going to Iceland in the winter months (and frankly…I probably wouldn't advise it!) treat yourself to a set of crampons! We did a LOT sliding on our asses thanks to our sub-optimal footwear for the icy terrain! Back in the warmth of the car we continued on towards Geysir and Gullfoss which are only some 5-10 minutes drive apart from each other and both equally spectacular in their own right. Geysir is essentially a hot spring which periodically hurls boiling hot water up into the air! 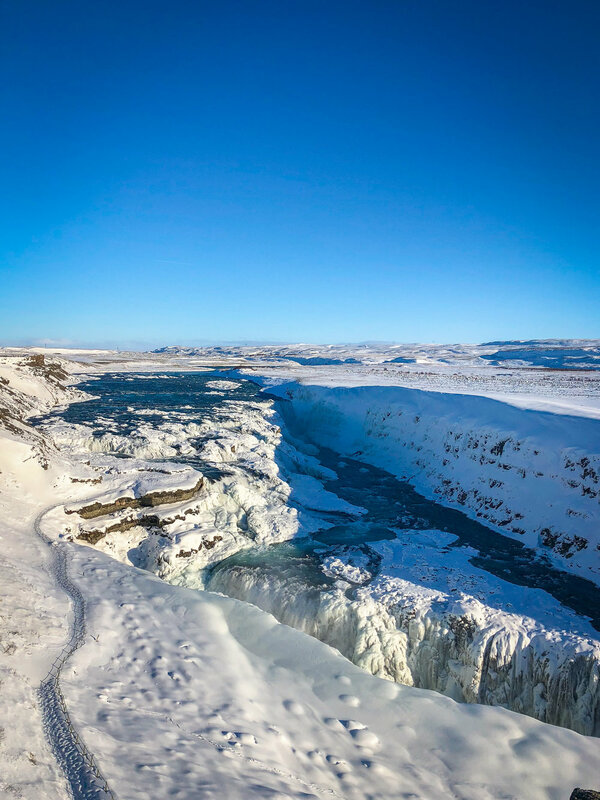 While the Gullfoss is a waterfall to rival Niagara. There are restaurants at both sites which have good reviews, but they were packed with tour bus groups and we’d read about a Tomato Farm nearby so we headed for that. Reservations are recommended at this somewhat unusual restaurant. Against all odds, the farm grows organic tomatoes in a series of high-tech, solar panelled greenhouses. The limited menu consists entirely of tomato based dishes - the star of the show being tomato soup served buffet style with homemade bread - and everything is served with a brief history of the farm from enthusiastic staff who also encourage you to take a walk around the vines and learn more about the process of growing fruit in the arctic. It was an experience for sure but as with everything in Iceland, an expensive one. I think a couple of bowls of soup and a couple of beers ended up costing us around $50! Back on the road, we decided to head straight to our hotel for the night. 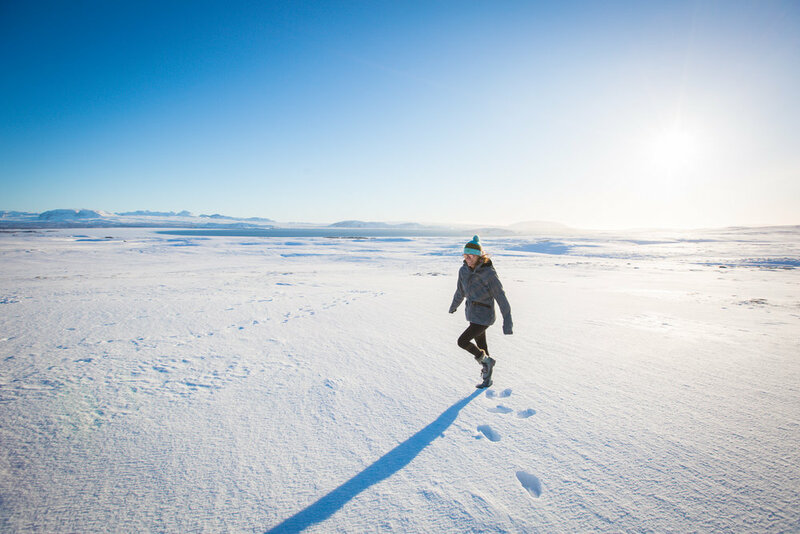 You can complete the circle and get back to Reykjavik in a day but we’d chosen to stay out in the countryside to switch off, relax and give ourselves the best chance of seeing the Northern Lights away from any light pollution. We arrived in time to enjoy sunset in the hot tub outside our suite before a quiet dinner at the hotel’s restaurant. Another successful day exploring and enjoying nature!